Funny, insightful, and heartfelt, B.S., Incorporated is sure to speak to fans of such hits as The Office and Office Space. It’s a feel-good story about people finding themselves and coming into their own while simultaneously skewering every aspect of life in Corporate America. It’s a book that anyone in the business world will get a huge kick out of… After all, every job contains a certain amount of B.S. Catherine Collins is Executive Director of Sound Experience, a nonprofit that operates the 104-year-old Schooner Adventuress in the waters of the Puget Sound. 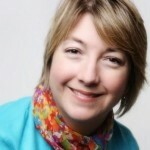 Catherine has more than two decades of leadership experience in nonprofit fundraising and management and holds an MBA. She has worked for national youth organizations including Outward Bound and City Year and spent a decade helping to strengthen local economies with ACCION USA, a subsidiary of worldwide microfinance leader ACCION International. A native of Massachusetts, Catherine grew up sailing Cape Cod waters. Her passion for the power of sailing ships was sparked by her experience in 1993 as a volunteer educator aboard the sloop Clearwater on New York’s Hudson River. 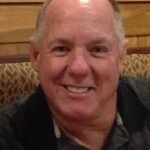 Curt Archambault is the Vice President of People and Performance Strategies and has over 30 years experience in the training and development/performance consulting field for the hospitality industry. Mr. Archambault is responsible for business development as well as working with emerging and mid-sized organizations seeking the right talent selection, training, development and HR practices to achieve the next level of growth. 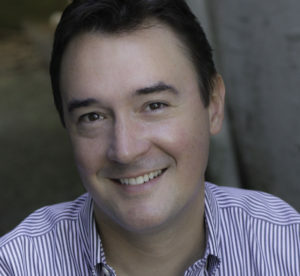 Andrew McMasters is an actor, director, teacher, entrepreneur and keynote speaker, as well as Artistic Director and co-founder of Jet City Improv. Originally from Philadelphia, he received his undergraduate degree in theater from Temple University and relocated to Seattle in 1990. 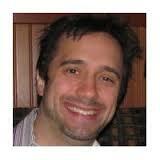 He attended the University of Washington to receive his MFA in Drama as well as a Certificate in Arts Administration. He is actively involved in community building in the performing arts, and serves as board co-chair of his local business improvement area. In addition to running a non-profit organization, Andrew is an internationally renowned speaker and trainer, providing experiential learning sessions for organizations in team communications, leadership development and innovation. Bob Donegan helps manage Ivar’s, a seafood restaurant company now in its 79th year in Seattle. The company operates stores from Bellingham to Tacoma and east to Spokane, all owned. It also operates in most sports stadiums in Puget Sound, and manufactures and sells its World Famous Clam Chowders and soups which sell in about 13,000 places around the US, Canada, Mexico. He joined the company in February, 1997, as the Chief Fin Officer and became the President on 9-11 on the death of one of his partners. In addition to Ivar’s, Bob serves on many boards and advisory committees including Seattle’s Aquarium, the Chief Seattle Council of the Boy Scouts, the Historic Waterfront Association, Seattle Sports Commission, and many committees around the design, building, and operation of Seattle’s seawall, deep bore tunnel, and new waterfront park. He and his wife live in Richmond Beach. 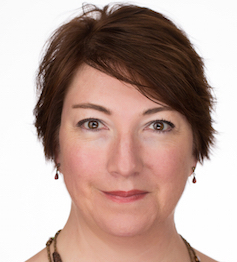 Shannon Bruce, PCC is a Professional Certified Coach and current President and CEO of StoryBridge, Inc. of Kitsap County. 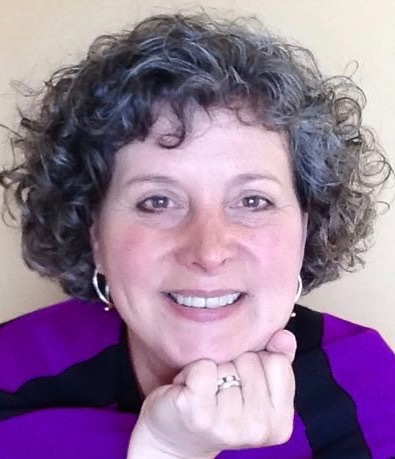 She has been in the professional coaching industry for over 12 years working in many capacities as an Executive and Leadership Coach, Team Coach, Facilitator and Trainer. Her diverse background also includes 13 years as a CPA with Ernst & Young, Corporate & Regional Operations Management in the wholesale distribution field, and entrepreneurship launching multiple business start-ups. 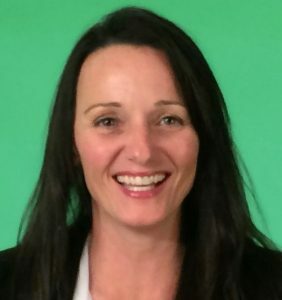 Currently, Shannon is also the Group Leader of Excell Puget Sound in Kitsap which is a peer group of CEOs & Executives committed to best practices and building sustainability in their lives, teams and companies. She is certified in the Conversational Intelligence model she discussed on The Boss Show. 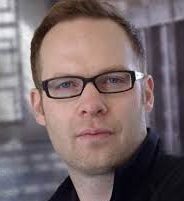 Justin R. Blaney DM is a speaker, entrepreneur and #1 bestselling author of 14 books including Evan Burl and the Falling and the critically acclaimed photography journal, Fast Wide Open. Justin has helped thousands of individuals and organizations increase influence and generate demand for their ideas, products, and services. 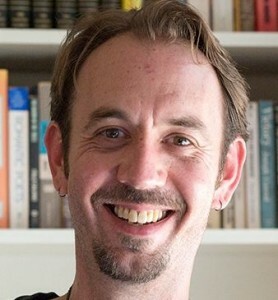 His blogs JustinBlaney.com, inkliss.com and I4J.org receive over 500,000 monthly views and he is followed by more than 40,000 on Facebook, Twitter, Pinterest, Youtube, Instagram, Goodreads, and LinkedIn. Justin and his family live outside Seattle. Beth Buelow (BEE-low), PCC, serves as a guide to introvert entrepreneurs who want to amplify their strengths and build sustainable, energetically aligned businesses. 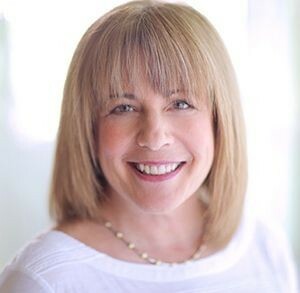 A professional coach, author, podcaster, and speaker, Beth is based in the Pacific Northwest and serves introverts worldwide. She’s contributed to articles in The Wall Street Journal, Success Magazine, Inc, Entrepreneur, The Telegraph, and Psychology Today, among others. Beth is the author of The Introvert Entrepreneur: Amplify Your Strengths and Create Success on Your Own Terms (Penguin Random House, Nov 2015), which was named one of the 100 Best Business Books of 2015 by Inc.com. Arden Clise, President of Clise Etiquette, is an expert in the field of business etiquette. As an author, speaker, trainer and coach, Arden helps companies have the competitive advantage through confident, polished and courteous employees. Author of Spinach in Your Boss’s Teeth: Essential Etiquette for Professional Success, Arden also wrote a regular business etiquette column for the Puget Sound Business Journal. She has been quoted in several national and international publications including Real Simple magazine and the Wall Street Journal . 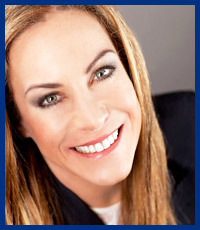 Arden has more than 25 years of business experience in marketing, management, event planning and public relations. She received her certification as an etiquette consultant from The Etiquette Institute. Stephan Aarstol is the author of The Five-Hour Work Day and CEO and founder of Tower Paddle Boards, an online, manufacturer-direct stand-up paddle board company. With a three-year growth rate of 1,853 percent, Tower was named the Fastest Growing Company in San Diego by the San Diego Business Journal, and was featured in the Inc.’s 2015 500 List of America’s Fastest Growing Companies. Jae Ellard is an author and expert on behaviors that cause imbalance, disengagement and distraction. After years in senior communication roles crafting content for executives, Jae collapsed from stress-related adrenal fatigue. This life-altering experience propelled her to research human behavior, neuroscience, mindfulness, and organizational relationship systems. In 2008, Jae founded Simple Intentions and developed the Mindful Life™ Program to generate intentional conversations to disrupt patterns and create awareness, accountability and action at team and individual levels. Jae has taught the skill of awareness in more than 50 countries to thousands of employees at multinational corporations such as Microsoft, Amazon and Expedia. Jae is a columnist on workplace awareness for Mindful Magazine, as well as the author of 7 books on the topic. She contributes to the Healthy Living section on Huffington Post as well as the Simple Intentions blog. Scott Santens is a freelance writer, specializing on the impacts of accelerating technology on the workforce. His work has led him to become a prolific advocate for Universal Basic Income – the idea that everyone should be paid a subsistence wage just to live. Despite its “socialist” implications, Universal Basic Income has been advocated by legendary conservative economists like Milton Friedman and Friedrich Hayek, as well as by Republican President Richard Nixon. Annie Hart was born Stan Hartmann. From a very early age she knew that “he” was actually a “she,” a notion that was culturally unacceptable in that era. Her female identity would remain hidden until recently. In her presumed male expression as Stan, she built a successful produce distribution company, married and raised a family, divorced and began a second career as a Realtor and spiritual teacher. All who knew Annie in her formerly male-identified expression, including her fellow agents at Winderere Real Estate on Capitol Hill, have seen and felt the vast transformation inside and out. 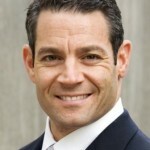 David Emerald (Womeldorff) is the author of The Power of TED* book, an executive coach, and uplifting keynote speaker who lives in the Pacific Northwest with his wife and business partner, Donna. 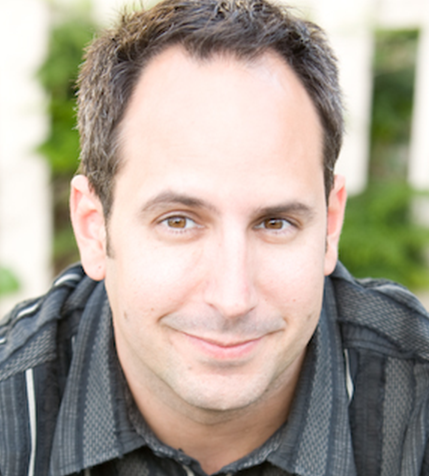 A master facilitator and speaker, what sets David apart is his authentic style of presenting. David is conversational, entertaining and approachable as he shares his simple, yet profound, philosophies. His inspirational and practical material enlightens and encourages participants to reach new levels of collaboration through empowering relationships. At the end of the day, participants walk away feeling inspired, and eager to take action. 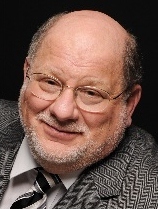 Dr. Kropp founded E.H. Kropp & Associates to serve the coaching and training needs of both areas. His firm specializes in the design and implementation of dynamic leadership training, developmental programs, and executive coaching. Dr. Kropp’s diverse talents include having led Marines in combat as well as organizing and executing major corporate initiatives such as acquisitions, mergers, and realignments. Ed is currently an Adjunct Professor at the University of Virginia teaching graduate program courses in project management, technology leadership, organizational change, and risk management. 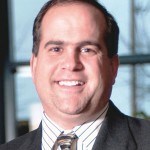 He has senior positions with several major corporations; specifically, AT&T, Science Applications International Corporation, and Bearing Point Consulting. Howard Behar was one of the three leaders who oversaw the growth of Starbucks from a local Seattle coffeehouse chain to the iconic an international business and cultural phenomenon. During his 21 years at Starbucks, Howard served as founding President of Starbucks International, seeding thousands of stores across five continents. He later came out of retirement to serve as President of North America Starbucks. Emily Parkhurst is Managing Editor of the Puget Sound Business Journal, one of the nations’s most respected business newspapers. 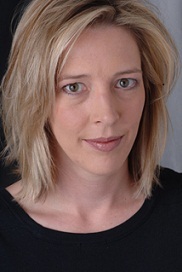 Emily is a national and regional award-winning journalist and editor with experience covering technology, education and government. She has won multiple awards for investigative reporting, including the Society of Professional Journalists’ Sigma Delta Chi award for a series on therapeutic restraint of schoolchildren. The Puget Sound Business Journal has more than doubled its page views and visits since she took over as digital managing editor. It is consistently No. 1 or 2 in the American City Business Journals chain for traffic numbers. 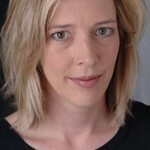 Emily also has experience as a professor teaching journalism, mass media and English. She keeps whiskey in her desk. Ann conducts deep-dive customer interviews to learn what a vendor should start, stop or continue doing to strengthen loyalty and accelerate revenue growth. Ann has written more than a dozen articles on issues related to assessing and strengthening customer relationships. She holds a Master’s degree from the University of Missouri. 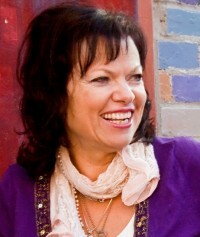 For over 25 years, Barbara has been passionate about gathering, synthesising and evolving the most effective tools, practices and techniques from the personal/spiritual development fields. 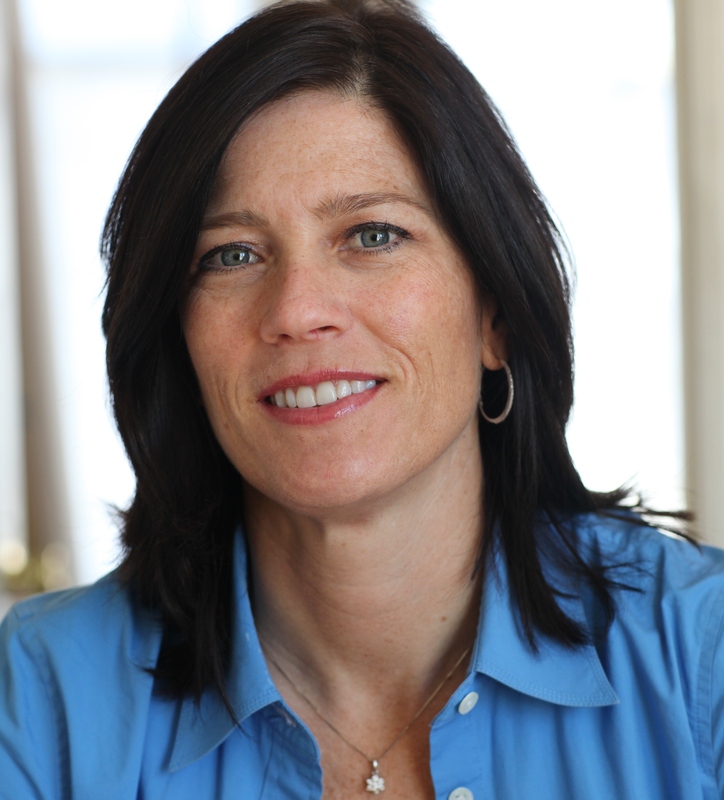 She has studied and trained in many different disciplines and coaching approaches over the years. One of her specialities has evolved into a leading edge approach to the much-misunderstood master practice of forgiveness. 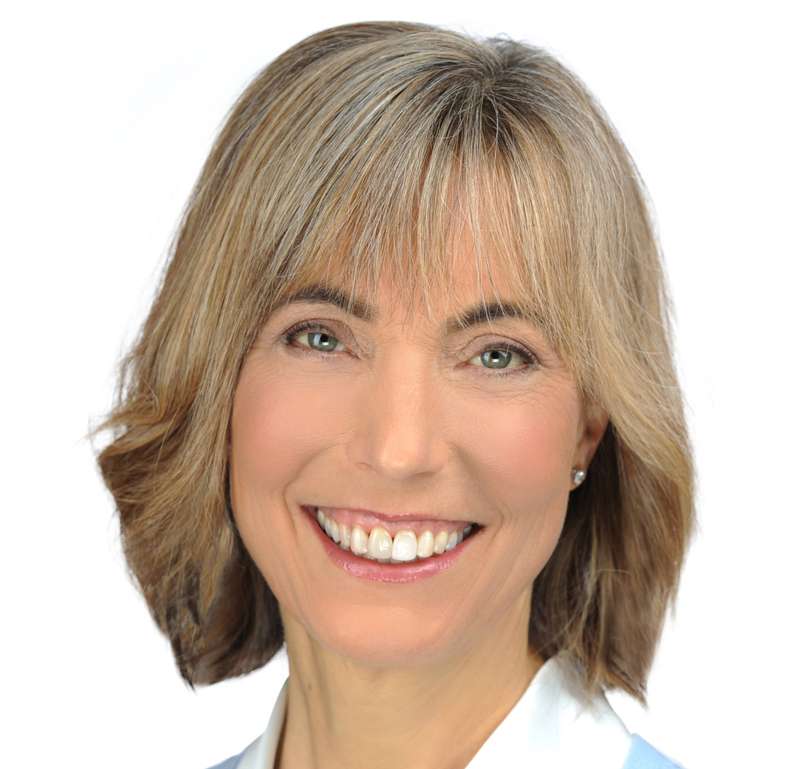 Dr. Michele Burklund is an internationally known naturopathic physician, entrepreneur, blogger, and media figure based in Seattle. She received her Business degrees from Seattle University, her post-MBA training in Entrepreneurship & Innovation from Stanford University, and her Naturopathic Medical degree from Bastyr University. She was the recipient of the Northwest Naturopathic neuroscience scholarship for her research in nootropic (brain-enhancing) plants. Dr. Burklund’s vision is to spread the seeds of naturopathic medicine and inspire all people to live fuller lives. 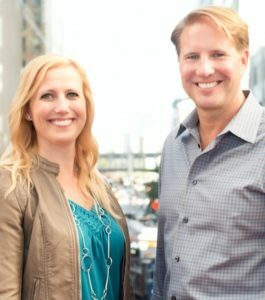 Dr. Burklund is currently in the development stages of creating an online business school for holistic professionals with her business partner, Rick Cesari, as well as the founder of www.ndbrandingrx.com, an online branding course designed for naturopathic doctors. Dr. Burklund also enjoys writing for her women’s health blog, Healthy Fashionista, in which she translates natural health treatments into stylish practical tips. Jenny Martin is the Founder / CEO of Sales Renaissance, a consulting firm that helps sales organizations innovate and co-create value with their customers. She has spent all of her professional life in the sales profession, mostly recently as VP of Sales. In her work with Sales Renaissance, Jenny is passionate about helping companies and individuals reimagine the future of the selling profession. 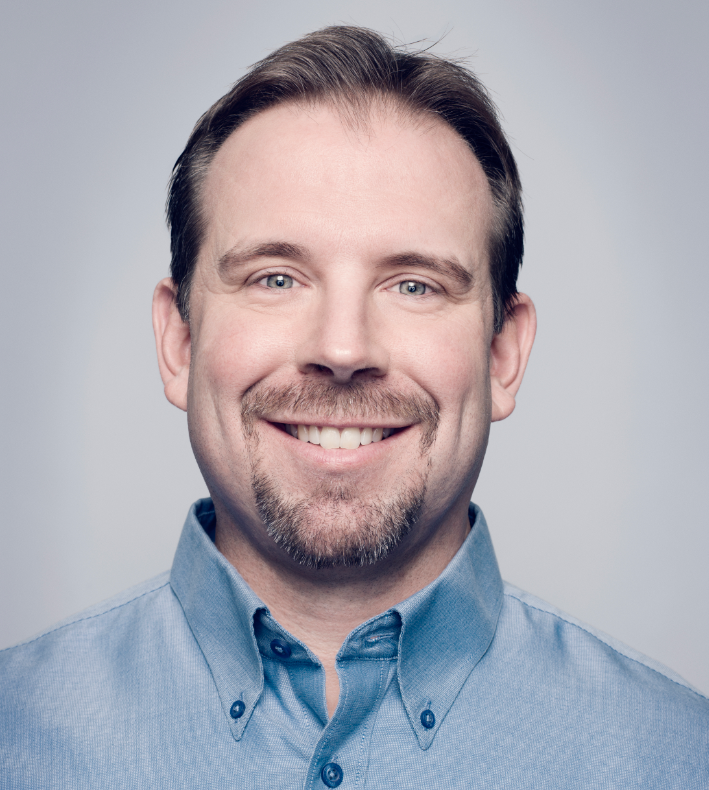 Steve Keil is the CEO of MammothDB– a start-up company in big data analytics. MammothDB provides interactive and inexpensive business analytics. He’s also the CEO of Xentio, an outsourcing / software application development company based in Bulgaria. Prior to MammothDB and Xentio, Steve was the CEO of Sciant – Bulgaria’s largest software application development company. Steve helped grow Sciant to over 300 people, including opening offices in Vietnam. Dr. Tammy Lenski is a mediator, coach, speaker, and author who specializes in addressing conflict in ongoing business and personal relationships. 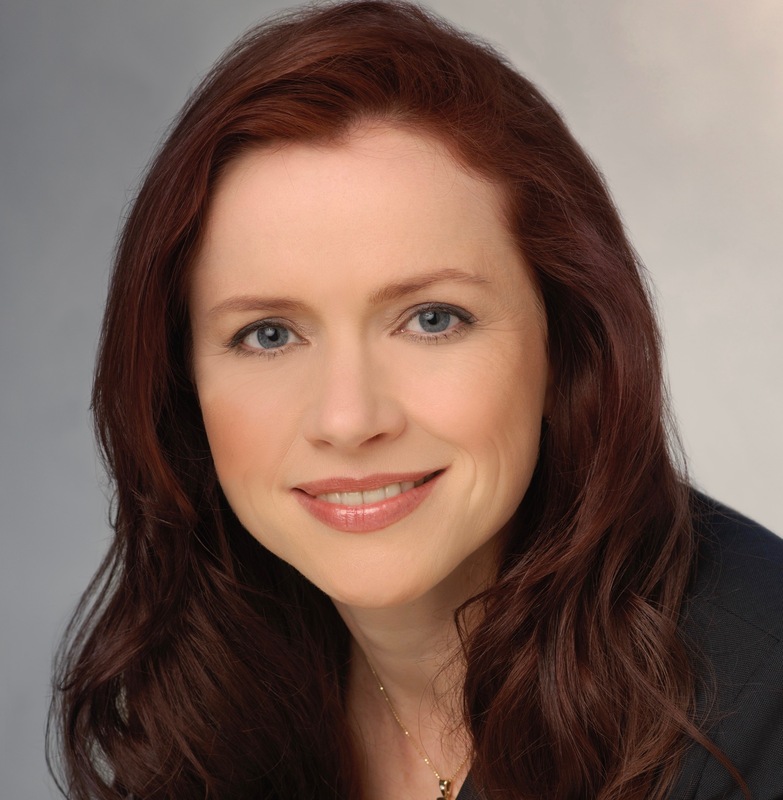 After founding her conflict resolution firm, Myriaccord LLC, in 1997, Lenski went on to co-found the world’s first master’s degree program in mediation, and has taught negotiation and conflict resolution in four graduate programs. Honored by the Association for Conflict Resolution for innovative and pioneering work in the conflict resolution field, Lenski weaves 20 years of conflict resolution work with insights from psychology, neuroscience, and creativity research to help people stay mentally agile during difficult conversations, create breakthrough conditions in conflict, and problem-solve creatively. 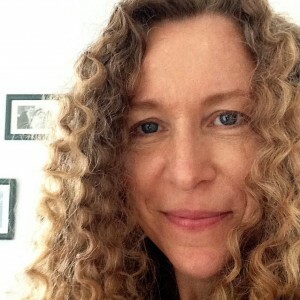 Her second book, The Conflict Pivot, was released in 2014. She is on the web at Lenski.com. Raphael Crawford-Marks is the co-founder and CEO of Bonusly, which helps high-performing companies create workplace happiness with employee-to-employee microbonuses. Raphael graduated from Hampshire College with a degree in Cognitive Science and is a veteran of several successful startups, including Looksharp and SquareTrade. Originally from San Francisco, he now lives in Brooklyn. David Niu is a serial entrepreneur and angel investor with an MBA from the Wharton School. At a career turning point a few years ago, David packed up his young family, bought one-way tickets to New Zealand, and ended up interviewing executives in a number of countries on the other side of the world. Via these conversations, he discovered that retaining good employees was one of the most common and frustrating challenges leaders face. So he came back to America and created a process to take the pulse of employees on a regular basis, so as to minimize employee-turnover blindsiding. David’s book Careercation tells the story of the events that led to the creation of his employee-survey product, Tiny Pulse. 7/26/15 | SHOW TOPIC: SHOULD YOU KNOW YOUR COWORKERS’ SALARY? 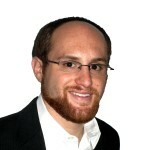 Yona Rozen is Associate General Counsel for the AFL-CIO in Washington DC. A Board-Certified Labor and Employment Law attorney, she spent 30 years in private practice in Dallas, representing unions and individuals in various federal and state courts, administrative proceedings, and arbitration cases, exclusively in the area of labor and employment law. 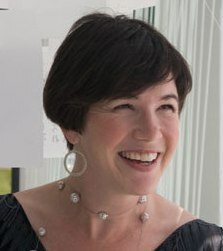 Ariane Hegewisch has been a Study Director at the Institute for Women’s Policy Research (IWPR) since 2008; prior to that she spent two years at IWPR as a scholar-in-residence. She came to IWPR from the Center for WorkLife Law at UC Hastings. 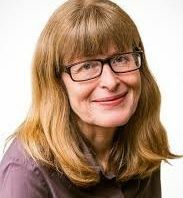 Ms. Hegewisch is responsible for IWPR’s research on workplace discrimination and is a specialist in comparative human resource management, with a focus on policies and legislative approaches to facilitate greater work life reconciliation and gender equality. 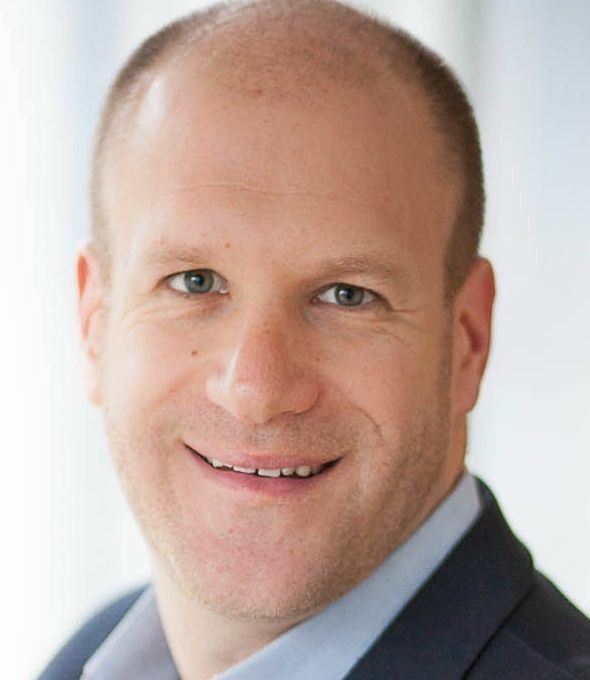 Tom Gimbel is the Founder and CEO of LaSalle Network, a staffing and recruiting firm based in Chicago. LaSalle Network has grown 900% in the past decade, landing it on the Inc. list of Fastest Growing Private Companies in America eight years running. LaSalle has also been recognized numerous times on several “Best Places to Work” lists. Gimbel was inducted into the Chicago Area Entrepreneurship Hall of Fame in 2010. Tom Gimbel is an expert on organizational development, securing a job, and successful hiring practices. He has been featured on the Today Show, Fox and Friends, Entrepreneur Magazine, Wall Street Journal, and Fortune Small Business, among numerous other media. Gimbel is on the Board of Directors at Starlight Children’s Foundation, a Chicago-based nonprofit organization that creates programs to brighten the lives of seriously ill children. 5/31/15 | SHOW TOPIC: ARE YOU SPIRALING TOWARD BURNOUT? Award winning entrepreneur, Forbes and Business Insider contributing writer, Bonnie Marcus, M.Ed., has real conversations for real women about real situations in the workplace today. As the President of Women’s Success Coaching, Bonnie assists professional women to successfully navigate the workplace and position and promote themselves to advance their careers. Her new book, The Politics of Promotion: How High Achieving Women Get Ahead and Stay Ahead offers women a proven process to get the promotions they deserve. With 20+ years of sales and management experience, Bonnie’s extensive business background includes CEO of a ServiceMaster company and VP of Sales at Medical Staffing Network and two other national companies in the healthcare and software industries. 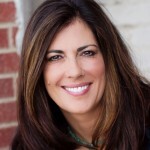 She has held executive positions in startup companies and Fortune 500 companies. Nick Woog is a Gitomer Certified Advisor who works with sales and service professionals in for-profit and non-profit industries. Nick delivers customized professional development classes in the disciplines of attitude, sales, customer loyalty, leadership, networking and trust. Nick is a regular contributor to Jeffrey Gitomer’s weekly e-zine, Sales Caffeine, has been a guest blogger in SellingPower, and runs a weekly video on YouTube. 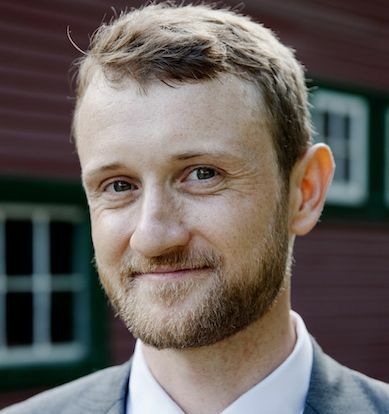 He received his MBA from Seattle University in 2010 with a focus in entrepreneurship and advises students contestants for Seattle University’s annual business plan competition (Nick finished 2nd in 2012). Nick is also a member of the KPLU Advisory Board. When not training, Nick cooks and runs a small food company that makes delicious and unique condiments. Nick is publishing his first cookbook, Conflict-free Cooking – My Favorite Middle Eastern Recipes (available through Amazon). Outside of the kitchen you can find him with his wife, kids, crabbing or on the pitch with other 30+ year-old dads from 98118. John Bunch is leading Zappos’ transition to Holacracy, a radical new organizational “operating system” that redistributes power to employees at very level — a set of “rules of the game” that bake empowerment into the fabric of the rather than having to rely on bosses to “empower” employees. John joined Zappos.com in 2009 as a Software Developer after trying out high school math teaching and professional poker playing (and in fact, won a $150,000 tournament prize just last November in Las Vegas, Zappos’ company home). He moved on to lead the Public API team before transitioning into the role of Technical Advisor to legendary Zappos CEO Tony Hsieh. 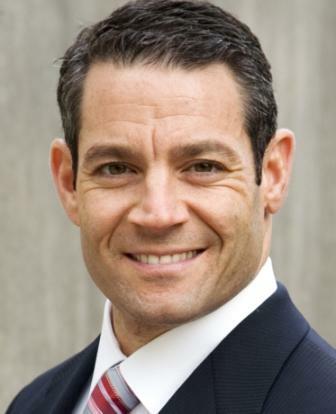 Rich Fisher is an attorney, business and organizational consultant, mediator, educator, speaker, and author of the e-book Conflict to Partnership: How to Transform Most Any Conflict Into Partnership. He helps individuals and organizations develop effective working relationships to complete business and public contracts and projects on time and on budget,and resolve conflict in ways that strengthen working relationships and increase productivity. 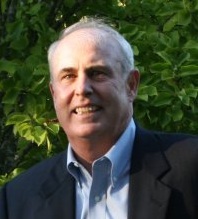 He has more than 20 years’ experience providing team building, partnering (inte-r and intra- organizational), conflict resolution, and strategic planning services to businesses, government agencies, and organizations in the following industries: construction, defense, educational institutions, environmental, government, healthcare, information technology, manufacturing, nonprofit, publishing, and transportation. Rich has worked on several projects that exceed $1 billion in value and on a defense contract in the amount of $2 billion. Brandon Christopher is the author of the recently published The Job Pirate, documenting his often hilarious and sometimes disturbing experiences in a vast variety of odd jobs (in more than one sense of the word) over the past 25 years. Among the more than 80 jobs he’s held, Brandon is an artist, novelist and journalist. 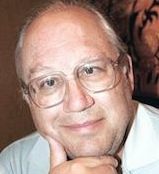 He has published over a dozen short stories and essays in magazines, literary journals, websites and anthologies. In 2007 he published his first book, Dirty Little Altar Boy, through Ghost Pants Press. He is also a writer and producer of several documentaries and TV biographies, including: Just for the Record — The Rolling Stones, the highly acclaimed 16-hour documentary The Definitive Elvis, and The 50 Worst Movies Ever Made. 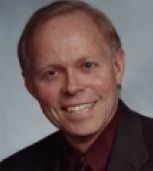 John de Graaf is Executive Director of Take Back Your Time, an organization challenging time, poverty, and overwork in the U.S. and Canada (www.timeday.org) as well as co-founder and senior partner of The Happiness Initiative (www.happycounts.org). 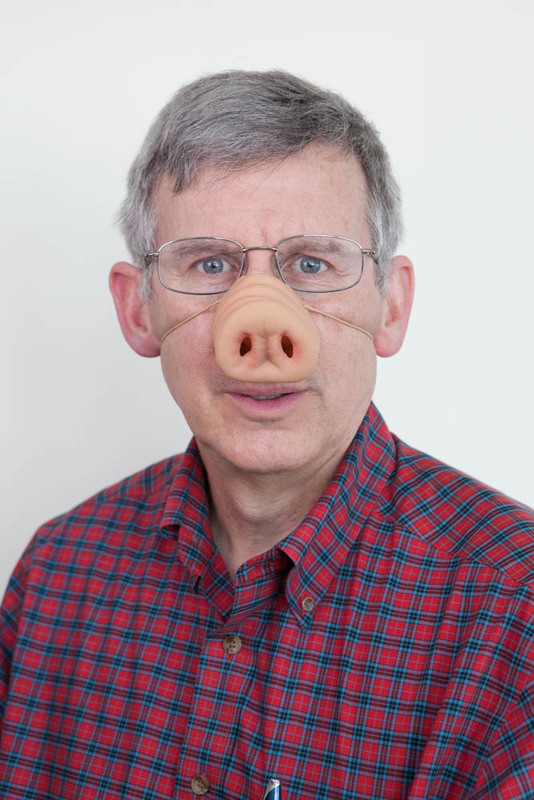 He is a frequent speaker on issues of overwork and overconsumption in America. John is the co-author of Affluenza: The All-Consuming Epidemic (2001). His newest book, What’s the Economy For, Anyway? Why It’s Time to Stop Chasing Growth and Start Pursuing Happiness , was published in 2011. He is also the editor of Take Back Your Time (2003) and co-author of the children’s book, David Brower: Friend of the Earth (1992). 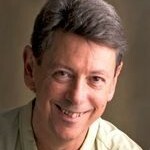 John has been an independent producer of television documentaries for 35 years. More than 15 of his programs have been broadcast in prime time nationally on Public Television. He is also the recipient of more than 100 regional, national, and international awards for film-making. 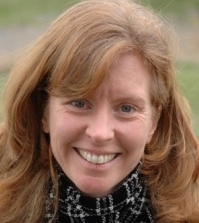 Kim is the founding partner of Triskele Collaborative, a collaborative health partnership. 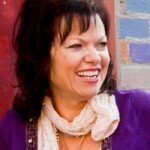 She is the originator of the systems approach to health that is Triskele’s hallmark. Kim is a registered nurse with 10 years of experience in front line nursing. She has pursued post-graduate study in information technology (computer programming, information system analysis and design) and in human system analysis and design with a specific focus on generating transformative change in human systems. For the past 10 years, Kim has been working as a systems analyst with organizations of many kinds, including small businesses, large corporations, schools and public entities. Four years ago at the ripe old age of 26, Dan Price was recognized by President Barack Obama as National Young Entrepreneur of the Year. That’s just one of the numerous awards he’s won in his young and illustrious career. 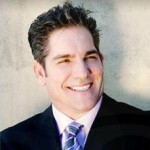 Dan has been featured in magazines including Forbes, Business Week, and Entrepreneur. His credit-card processing company Gravity Payments, which Dan started at age 19 in his dorm room, is focused on ethics and social consciousness in all aspects of its business. This values-based approach to business has led Dan to employ some highly controversial business practices, including offering unlimited paid vacation time to his employees. Teri Citterman, executive coach, is the author of the recently-released From the CEO’s Perspective: Leadership In Their Own Words. 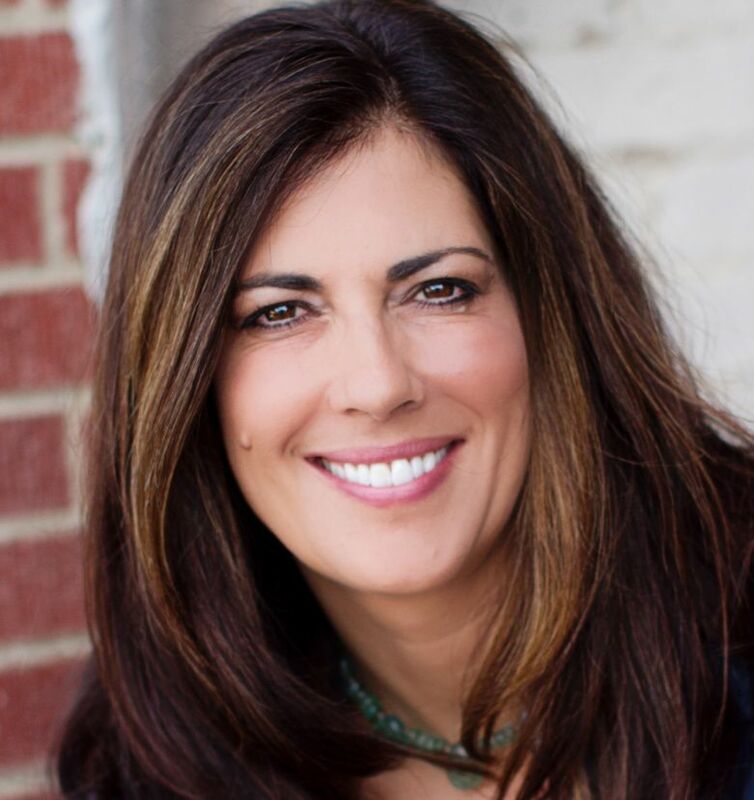 With 20 years’ experience in corporate communications working with CEOs in a variety of industries, Teri writes and speaks on issues related to communication and leadership. Teri has worked with CEOs and senior executives who lead companies ranging from start-ups to Fortune 500s in a variety of industries. 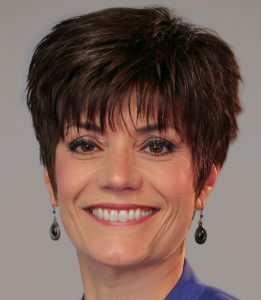 A journalism graduate of University of Oregon, she received her executive coaching certification through the Center for Executive Coaching. Teri is an aerial trapeze artist and former wine writer — who still loves a sip of a dark and lusty Northwest Cabernet. Suzanne Lucas, the “Evil HR Lady,” spent 10 years in corporate human resources, where she hired, fired, managed the numbers, and double-checked with the lawyers. She founded the Carnival of HR, a bi-weekly gathering of Human Resources blogs, and her writings have been used in HR certification and management training courses across the country. The “Evil HR Lady” is a regular blog contributor to Inc.com and to CBS.com’s MoneyWatch. 10/30/13 | SHOW TOPIC: Overworked, overwhelmed? 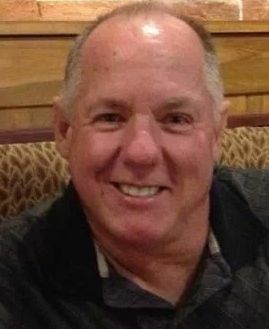 Jeff Haden learned much of what he knows about business and technology as he worked his way up in the manufacturing industry from forklift driver to manager of a 250-employee book plant. Everything else he picks up from ghostwriting books for some of the smartest innovators and leaders he knows in business. He has written more than 30 non-fiction books, including four Business and Investing titles that reached #1 on Amazon’s bestseller list. He’d tell you which ones, but then he’d have to kill you. 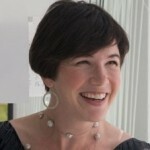 Sheila has spent the last twenty years with the Harvard Negotiation Project, developing negotiation theory and practice. In addition to working with corporate executive teams, she has provided training for the Singapore Supreme Court, the Obama White House, and theologians struggling with disagreement over the nature of truth and God. Sheila has appeared on shows as diverse as Oprah, NPR’s Diane Rehms Show, Fox News, and CNBC’s Power Lunch. She’s a graduate of Occidental College and Harvard Law School. She is schooled in negotiation daily by her three children. Charles Oden is a former Naval submarine officer whose primary duty became running complex operations with ships, aircraft, Marines, landing craft, and SEALS. Chuck did his PhD dissertation on the effect of wisdom upon employee job satisfaction, interpersonal trust and team cohesiveness. He is now a business instructor at Saint Leo University. Liz Ryan is a former Fortune 500 Human Resources Senior VP and the world’s most widely-read career and workplace authority, with 30 million monthly readers via her columns for Forbes, Business Week, Kiplinger’s Finance, the Huffington Post, Harvard Business Review, Yahoo!, TIME.com and LinkedIn. 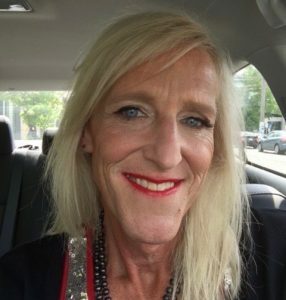 Liz is a commentator for FOX Business, NPR, CNN and BBC Radio who lives in Boulder, Colorado with her husband and five children. Liz is also a professional opera singer and draws the evocative Human Workplace images. Liz is the CEO and Founder of Human Workplace, a publishing, coaching and consulting firm whose mission is to reinvent work for people. August Turak is a successful entrepreneur, corporate executive, and award-winning author who attributes much of his success to living and working alongside the Trappist monks of Mepkin Abbey since 1996. As a frequent monastic guest, he learned firsthand from the monks as they grew an incredibly successful portfolio of businesses. He shares those secrets in his first book: Business Secrets of the Trappist Monks: One CEO’s Quest for Meaning and Authenticity . Combining vivid case studies from his 30-year business career with intimate portraits of the monks at work, Turak shows how Trappist principles can be successfully applied to a variety of secular business settings and to our personal lives as well. He demonstrates that monks and people like Warren Buffett alike are wildly successful not despite their high principles but because of them. 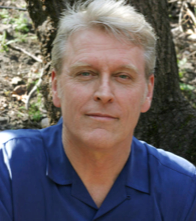 Rick Hanson, Ph.D., is a neuropsychologist and New York Times best-selling author. 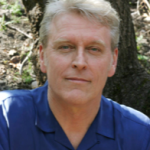 His books include Hardwiring Happiness, Buddha’s Brain, Just One Thing, and Mother Nurture. 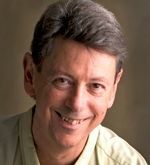 Founder of the Wellspring Institute for Neuroscience and Contemplative Wisdom, he’s been an invited speaker at Oxford, Stanford, and Harvard, and taught in meditation centers worldwide. His work has also been featured on the BBC, NPR, CBC, FoxBusiness, Consumer Reports Health, U.S. News and World Report, and O Magazine. 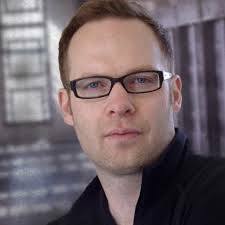 He has several audio programs and his free Just One Thing newsletter has over 100,000 subscribers, and also appears on Huffington Post, Psychology Today, and other major websites. 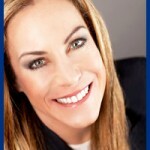 Dr. Tracey Wilen is a thought leader on the impact of technology on society, work and careers. 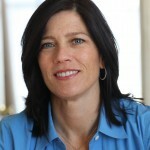 She’s been a scholar at Stanford University and has held leadership positions at Apple, HP, and Cisco. Dr. Wilen has authored 11 books, including the recently published Employed for Life , 21st Century Career Trends. She has appeared on CNN, Fox and CBS news and in The Wall Street Journal, Chicago Tribune, Forbes, Los Angeles Times, and USA Today. She frequently contributes to The Huffington Post, the Examiner, and the Christian Science Monitor and is on radio shows across the US weekly as an expert guest. Tracey was honored by the San Francisco Business Times as a 2012 Most Influential Woman in Bay Area Business. Beth Buelow is known as The Introvert Entrepreneur to a growing tribe of thousands of followers and fans. As a certified professional coach and a skilled interviewer, writer, facilitator and speaker, she’s recognized as a thought leader in the area of life and leadership coaching for introverts. Beth is on a mission to empower introverts to understand, own and leverage their natural strengths. She is certified by the International Coach Federation. 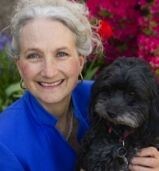 a Living Your Vision® Licensed Facilitator, and is an active member of the Puget Sound Coaches Association. Beth has shared her message that “Success is an Inside Job!” with numerous organizations and corporations, including Boeing, Starbucks, Peterson Sullivan, Puget Sound Business Journal, eWomenNetworking, Ignite Seattle and the Puget Sound American Marketing Association. 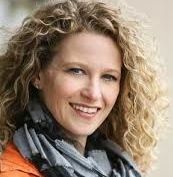 Christine Perich is Chief Operating Officer and Chief Financial Officer of New Belgium Brewing Company, makers of Fat Tire Amber Ale. Perich is responsible for the day-to-day running of the business and for driving successful initiatives and business strategy in Finance, IT, Sales, Branding, Operations, Engineering and Supply Chain Management. Last year she guided the company through a transition to a 100% employee-owned B Corp (public benefit corporation). She has been an integral part of New Belgium’s growth and success, helping to keep New Belgium’s business role-model status intact while growing the brand nationally. Kevin Wilhelm is the CEO of Sustainable Business Consulting, a Seattle-based firm offering practical and profitable solutions for helping firms successfully integrate sustainability. Kevin brings over 16 years of experience working with 75+ businesses ranging from Fortune 500 multinationals to small and medium size businesses. 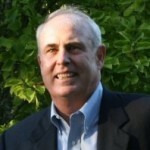 His firm’s clients include Nordstrom, REI, The North Face, Expeditors, Coinstar/Redbox, and Drugstore.com. He is the author of two acclaimed books in this field including: Return on Sustainability: How Business Can Increase Profitability & Address Climate Change in an Uncertain Economy and the recently-published Making it Stick: The Blueprint for Successful Sustainability Implementation which just came out this past fall. Elizabeth Bowman is a Seattle-based Productivity Consultant and the owner of Innovatively Organized. 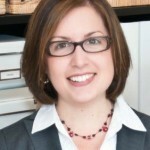 She provides productivity consulting and hands-on organizing for small and medium businesses. 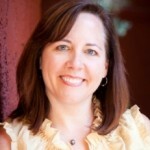 She helps her clients get more done in less time by streamlining their processes and systems. 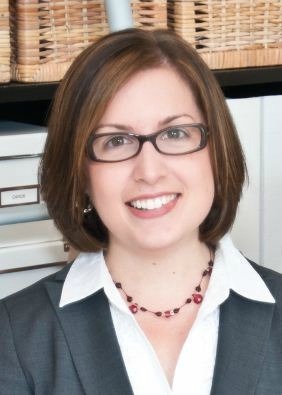 Elizabeth delivers innovative solutions for any organizational challenge, from paper piles and electronic clutter to time management and workflow issues. Elizabeth also conducts training seminars for small and large groups and brings a fresh and unique perspective to creating innovative systems for organizing challenges. For 20 years, Kim Arellano held leadership positions in for-profit and non-profit worlds, including a role as regional sales director for a Fortune 500 global telecommunications company. In 2008, she left the industry to start a thriving consulting business. Kim believes that listening and asking questions of not only the client, but the situation, allows the best opportunity to organize solutions to fit her client’s exact needs. 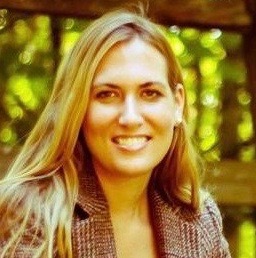 Andrea Ballard helps individuals and companies put their best foot forward in the recruiting process. As the owner of Expecting Change, she provides job search coaching and interview preparation for job seekers. She also works with companies and helps design programs to recruit and retain talented individuals in a competitive marketplace. 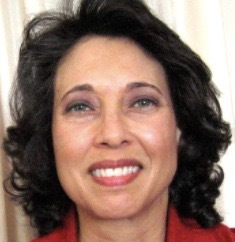 Andrea is a certified life coach and certified as a Senior Professional in Human Resources (SPHR) through the Human Resources Certification Institute. 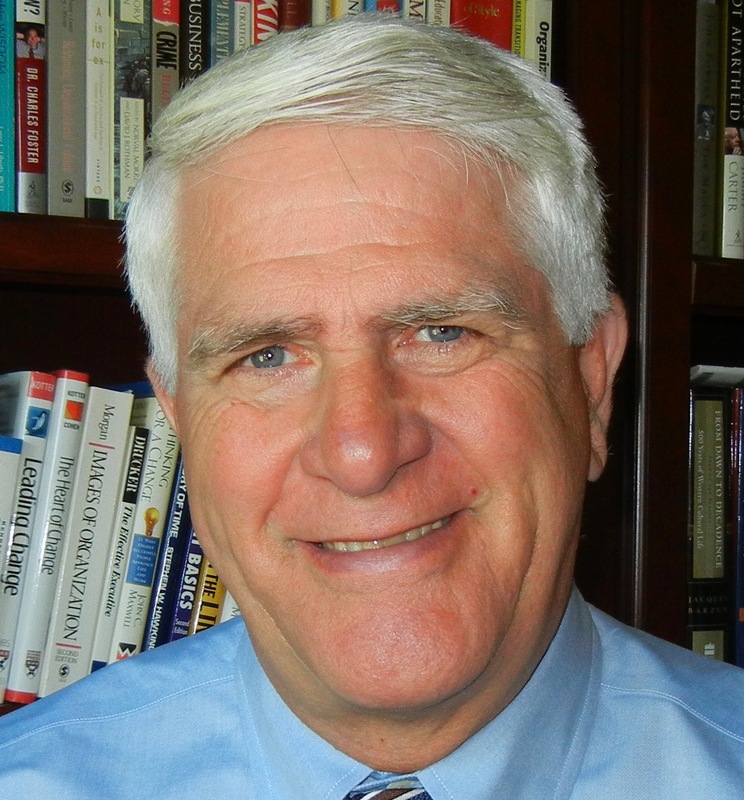 Scott K. Edinger is a consultant, author, speaker and executive coach who has worked with some of the most prominent organizations in the world including AT&T, Harvard Business Publishing, Bank of America, Lenovo, Gannett and The Los Angeles Times. Scott is a co-author of The Inspiring Leader: Unlocking the Secrets of How Extraordinary Leaders Motivate (McGraw-Hill 2009), and the Harvard Business Review article Making Yourself Indispensable, called by HBR a “classic in the making.” Scott has authored or co-authored dozens of other articles and white papers, has been a contributing author for The American Society for Training and Development Leadership Handbook, and is a blogger for the Harvard Business Review. 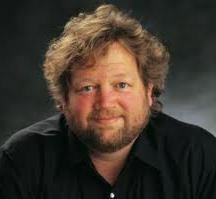 Tom Douglas is an American executive chef, restaurateur, author, and radio talk show host. 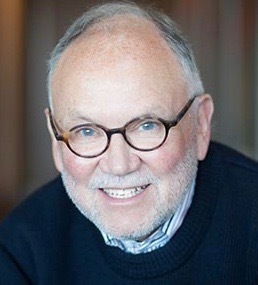 Owner of more than a dozen of Seattle’s finest restaurants, including Etta’s, The Dahlia Lounge, and Palace Kitchen, Tom is author of four books, the most recent being the Dahlia Bakery Cookbook (recently #1 on Amazon.com) and hosts a weekly radio show, Seattle Kitchen. 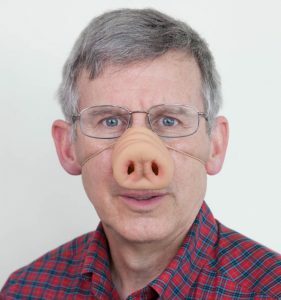 Tom’s appearance on The Boss Show is a result of having recently been recognized by the Puget Sound Business Journal as Seattle area Executive of the Year. 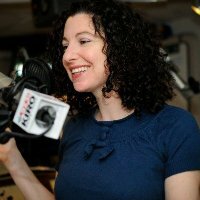 Recently awarded the title of “Seattle’s Favorite FM Radio Personality,” Rachel Belle is a reporter and contributor on The Ron &Don Show on KIRO Radio, Seattle’s highest-rated program. Rachel Belle’s “Ring My Belle” segment airs Monday-Friday on The Ron & Don Show at 4:37pm and 6:37pm. You can also hear “Ring My Belle Weekends” Saturdays at 5pm and Sundays at 1pm. Rachel is a northern California native who loves anything and everything culinary, playing Scrabble, petting cats and performing improv. 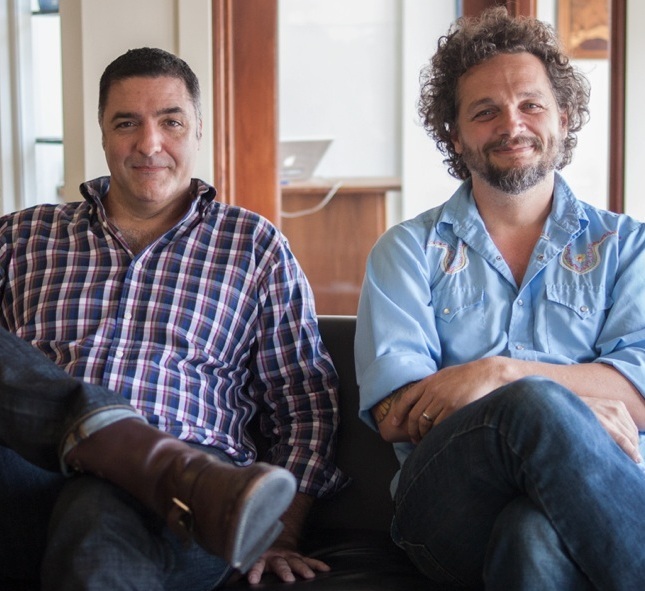 World Famous is a boutique creative film/video production shop in Seattle, WA. 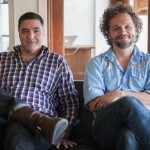 Creative Directors Tony Fulgham (right) and Alan Nay (with over 25 years of experience between them) wrote the company’s original business plan on a cocktail napkin, which ceremoniously hangs in the office today (as far as you know). Both Seattle Metropolitan and the Puget Sound Business Journal have named World Famous one of Seattle’s “Best Places to Work.” The company has also been featured in publications ranging from the Seattle Times to Huffington Post for their Assignments work, a “be creative for creativity’s sake” monthly company task. As President and CEO of Fierce, Inc., Halley Bock is at the forefront of the leadership development and training industry. A popular and engaging public speaker, Halley speaks with leaders across the globe. She has keynoted at events such as the National Business Growth Summit and to organizations including Microsoft, MICA Knightsbridge, and Institute of Management Consultants. A prolific writer, Halley has a monthly column in Seattle Business Magazine, contributes regularly to various publications including Training Magazine and Chief Learning Officer, and is sought out as an industry resource for media outlets including Forbes. 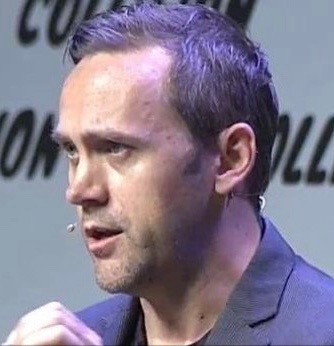 Brett Thompson is the Vice President of Human Resources at Tableau Software. 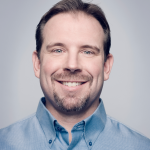 Brett has more than 15 years of experience in the Internet and software industries and is currently responsible for human resources, recruiting and facilities at Tableau. 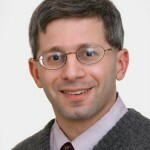 Prior to joining Tableau, he was Senior Vice President of Human Resources for United Online, which included brands such as FTD, NetZero, Juno, Classmates.com, MyPoints.com, and StayFriends.de. 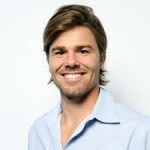 He has been heavily involved in creating corporate culture and values of a number of high profile technology companies. Brett has a bachelor’s degree in business and finance from Utah State University and is a member of the University of Washington Foster School of Business Employee Advisory Board. 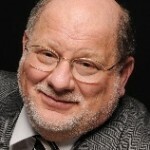 Gary Namie is an author, consultant, researcher, and founder of the Workplace Bullying movement. 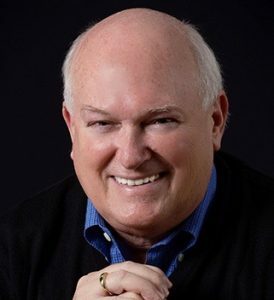 Gary is Director of the Workplace Bullying Institute, the Healthy Workplace Campaign to enact state laws, and Work Doctor®, originator of the consulting specialty. With his wife Dr. Ruth Namie, he wrote the popular books, The Bully-Free Workplace: Stop Jerks, Weasels & Snakes from Killing Your Organization (Wiley, 2011) and The Bully At Work (Sourcebooks, 2009). 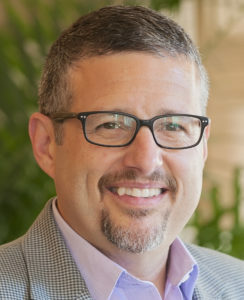 Ben Waber is President and CEO of Sociometric Solutions, a management consulting firm that uses social-sensing technology to understand and improve organizations. He is also a visiting scientist at the MIT Media Lab, and he was previously a senior researcher at Harvard Business School. 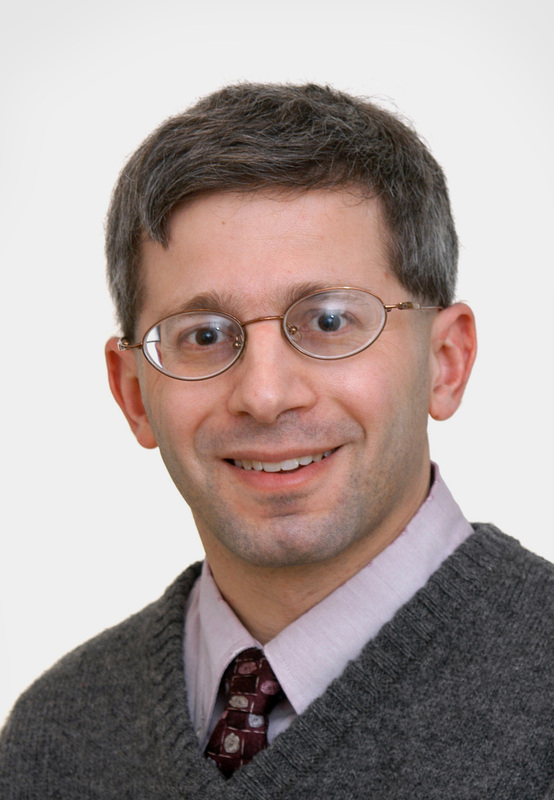 Waber’s work has been featured in major media outlets such as Wired, The Economist, and NPR. He has consulted for industry leaders such as LG, McKinsey & Company, and Gartner on technology trends, social networks, and organizational design. 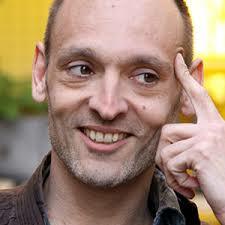 His upcoming book Social Sense will be released in early 2013. 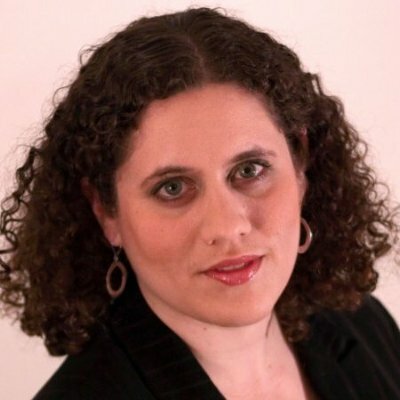 Stacey Epstein is VP of Marketing at ServiceMax, a leading SaaS start-up. Previously she was VP of Global Marketing Communications at SuccessFactors, where she was instrumental in the company’s successful IPO. 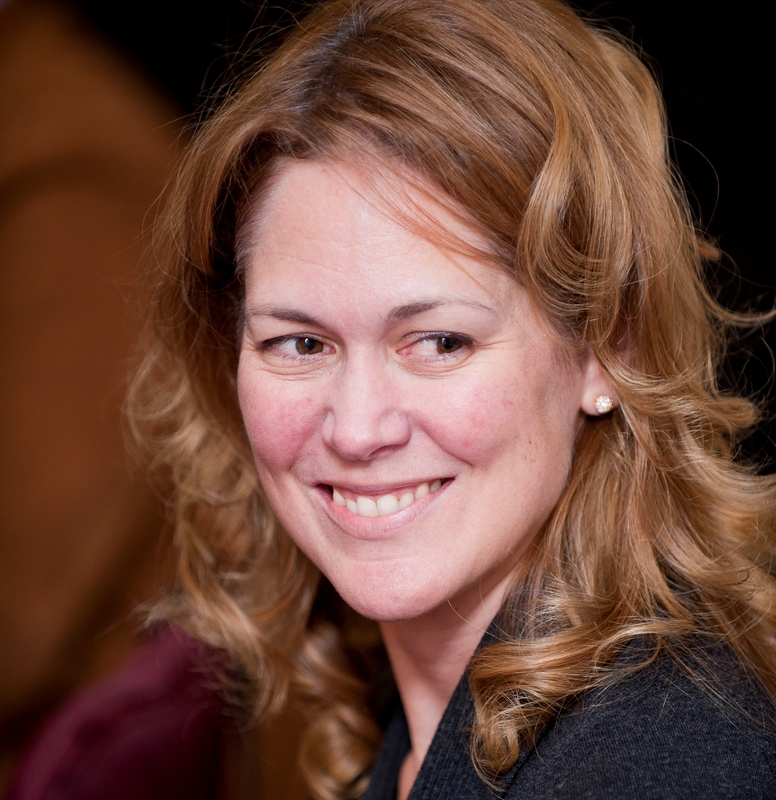 Stacey is a frequent online contributor to inc. magazine. Piper Lauri Salogga is the owner and founder of Piper Lauri Salogga Interiors and Living Sensual TV. A curator of beauty and connection, Piper uses her talents as a writer, speaker and designer to serve as a catalyst for empowering the lives of others. Her residential and commercial work has been featured in a variety of publications throughout the Northwest including: Sunset Magazine, Alaska Airline’s Magazine, The Seattle Times Pacific Magazine, The Seattle PI, Journal Newspapers and more. She has been a featured guest on KIRO 7 Mornings with Kaci, and interviewed for numerous radio programs on sustainable, feng shui design. She’s looking forward to completing her book Living from the Heart late this year. 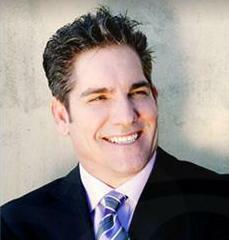 Grant Cardone is an international sales trainer, motivational speaker and NY Times best selling author. As executive producer and star of the National Geographic Channel’s “Turnaround King,” Grant is a regular contributor on such shows as Fox News, CNBC, MSNBC, and CNN. 2/24/2012 | SHOW TOPIC: So You Hate Your Co-Worker?